If you are in need of replacement filters, please submit the form below so an AirClean Systems associate will contact you with recommendations to meet your application requirements. You may also contact an AirClean Systems technical sales specialist by dialing +1 (919) 255-3220 or toll-free at 800-849-0472 during normal business hours. 2179 East Lyon Station Rd. 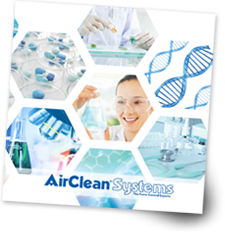 AirClean®Systems, the ductless fume hood experts, manufactures a complete range of enclosures designed to protect the operator, process or both from toxic vapors, fumes, gases and particulate. Copyright © 2018 AirClean® Systems, Inc. All Rights Reserved.